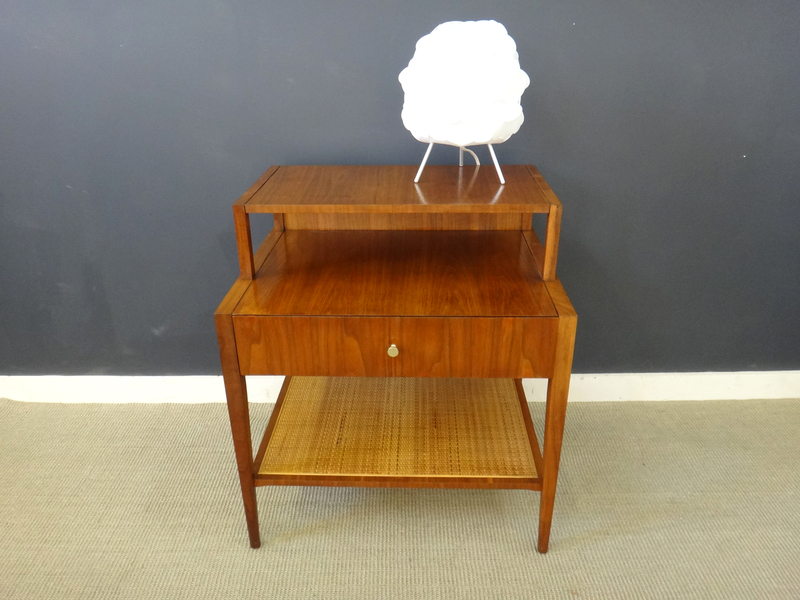 This elegant side table features beautiful walnut wood grain in warm tones. 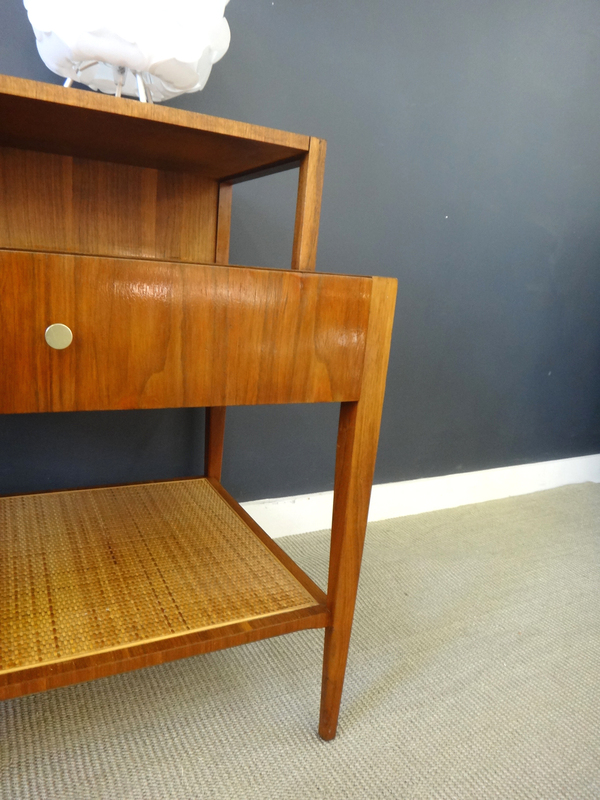 Multiple levels, with one drawer and lower cane-covered shelf. 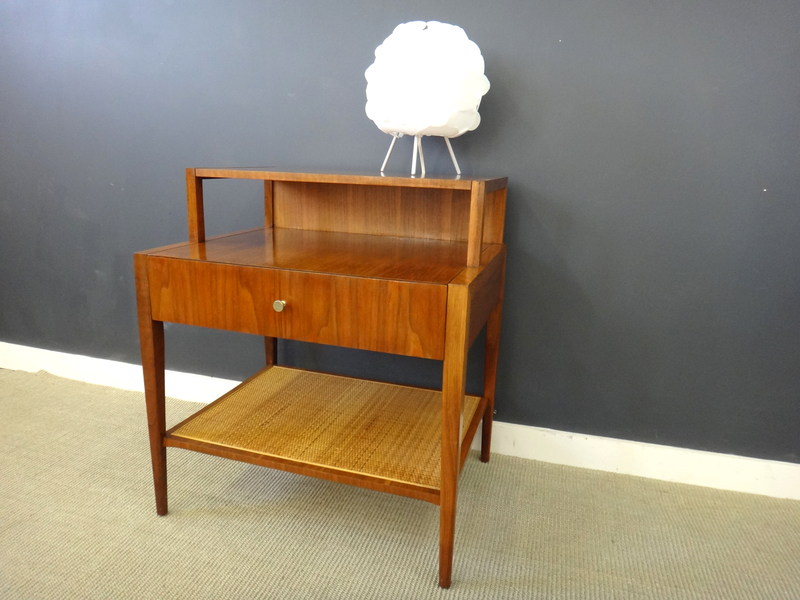 In great vintage condition, this table would work well in a bedroom or living room.